Besides nail polish, my second most purchaded beauty item is mascara. I love trying new drugstore mascaras and as soon as I spot a new one on the shelves I just have to add it to my basket. I rarely write mascara reviews because it’s not every day that I try a new mascara that truly wows me. 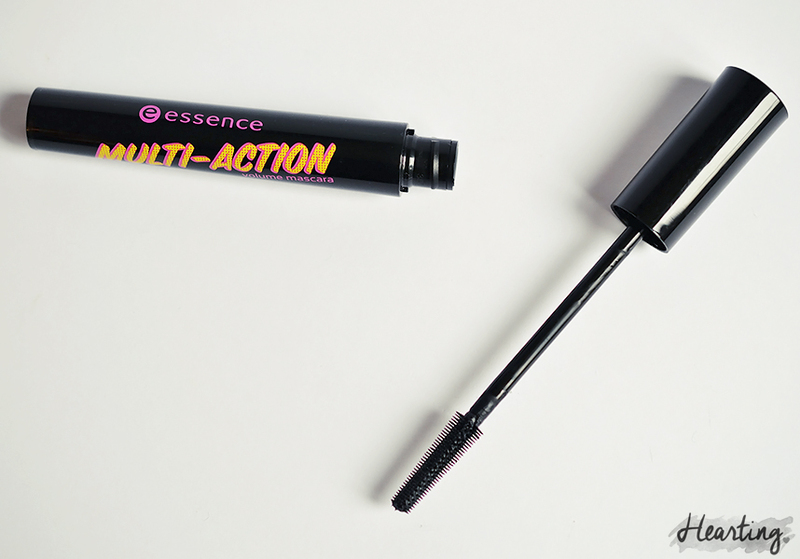 Well the Essence Multi-Action Mascara did just that, and the best bit? It only costs £2.50! Do you remember reading this post about my beloved SEVENTEEN Falsifeye HD Mascara? Well this mascara is somewhat similar! They both come in a black circular tube and they both have similar brushes with plastic bristles of varying lengths, that get shorter closer to the tip of the brush making it easier to catch those hard to reach corner lashes. 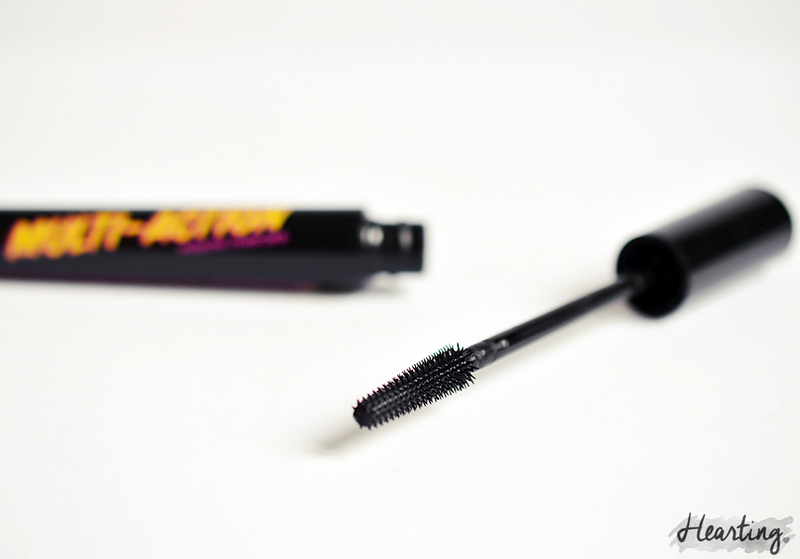 HOWEVER the Essence Multi-Action mascara doesn’t have super spiky bristles which is awesome as my holy grail SEVENTEEN Falsifeye HD Mascara can get quite painful at times..
How does the formula compare? Well, I have to say for £2.50 it is absolutely awesome! The bristles are the perfect length to catch every single lash adding length and definition whilst also seperating the lashes beautifully. The Essence Multi-Action Mascara adds noticeable volume which can be built up to go from day to night. It is also long lasting – I can go a full day without it crumbling as long as I don’t touch my lashes, which is so impressive. I’ve been reaching for the Essence Multi-Action Mascara over the SEVENTEEN Falsifeye HD Mascara most days and it might just be my favourite mascara now, it just ticks all the boxes and it’s so economical! I’ve already purchased a second tube as back up. I’m definitely now tempted to try Essence’s other mascaras to see how they compare. 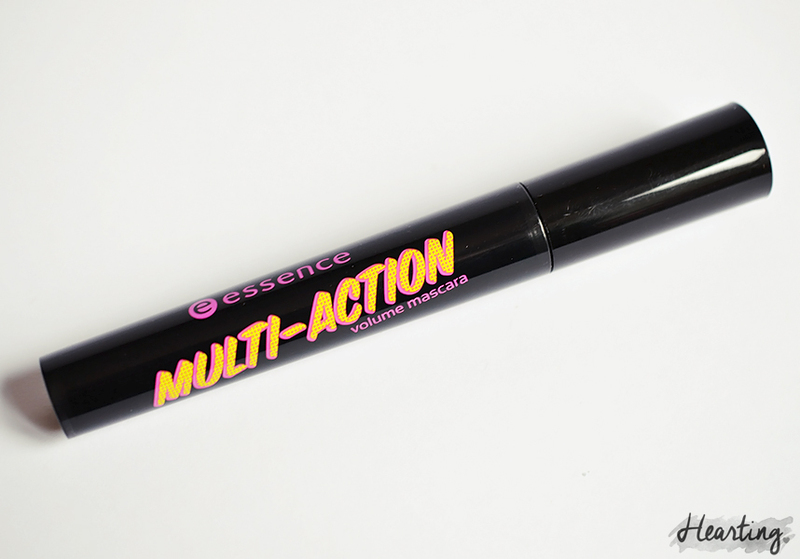 Have you tried the Essence Multi-Action Mascara?